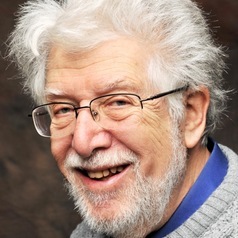 Paul Braterman is Professor Emeritus in Chemistry, University of North Texas, and Honorary Research Fellow (formerly Reader) at the University of Glasgow. His research has involved topics related to the early Earth and the origins of life, and received support from NSF, NASA, Sandia National Labs, and Scripps Institution of Oceanography. He is now interested in sharing scientific ideas with the widest possible audience, and was involved in successful campaigns to perusuade both the English and the Scottish Governments to keep creationism out of the science classroom. He is a regular contributor to 3 Quarks Daily, and blogs at Primate's Progress.